Not sure about your promotional item for this year? Try the all new Wilson Eco Core Golf Ball and go green with the successful promotional campaign. 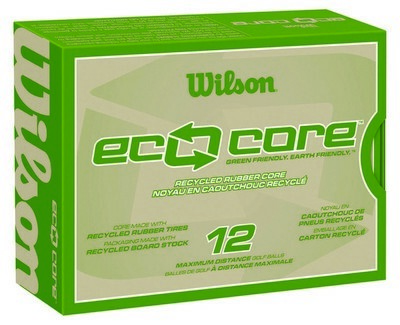 This eco-friendly golf ball is made using recycled material to be friendly to the planet. Your recipients would definitely appreciate receiving this golf ball that features a recycled rubber core. A golf ball that your customers would adore, it is an excellent item for golf outings, go-green initiatives and charity events. Not only would your recipients think about your brand when using this custom-printed ball but also about how you think about the Earth and the environment. Increase your brand image and sales.